Mr. Clees represents employers throughout the United States in discrimination and wrongful discharge cases and labor relations. He also counsels clients on a wide array of state, federal and tribal compliance laws. Mr. Clees has been singled out by Chambers USA America’s Leading Lawyers as one of the top labor and employment law attorneys in the country for many years in a row and as a Chambers USA Top Leader in his Field. He has been applauded for his “integrity and common sense” as well as his “pragmatic style.” Mr. Clees was noted as one of the “100 Most Powerful Employment Lawyers in America” by HR Executive Magazine in 2009, 2010, 2011, 2012 and 2013. He was ranked in the “Number 1” tier among Arizona employment lawyers by Chambers, and has been selected as one of Arizona’s Finest Lawyers.Mr. Clees also has been recognized for several years as one of the Best Lawyers in America. He also has been honored as one of the Best Lawyers in the United States. He was singled out as one of the “The Legal 500” nationally and the Arizona Business Magazine rates him as one of the “Top Attorneys of Arizona.” He also has been designated as a “Best of the Bar” by the Phoenix Business Journal and has been rated as one of the “Southwest Super Lawyers” for several years. 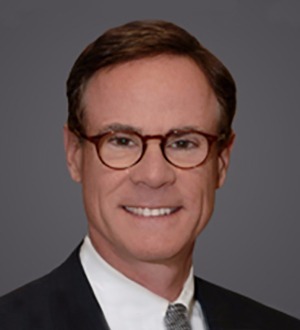 He has repeatedly been recognized as one of the “Top 50 Southwest Super Lawyers.”Prior to joining the firm, Mr. Clees was the group leader of the worldwide labor and employment practice of a large international law firm. He has served as the chair of the Executive Committee of the State Bar of Arizona’s Employment and Labor Law Section, a member of the Board of Directors of the Arizona Affirmative Action Association and Board of Directors of the Metro Phoenix Human Resources Association (SHRM). He is employment law counsel to many industry and trade groups and he regularly speaks and trains on labor and employment law topics, both regionally and nationally.